To soft reset your Nokia Lumia Switch On the Mobile and disconnect the charger. 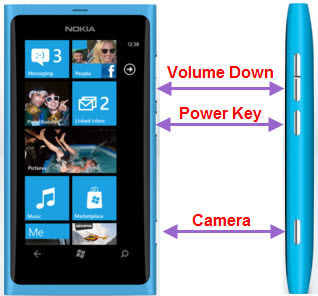 Then press and hold the power key + volume down key for about 15 seconds until the phone vibrates and restarts. To hard reset press and hold the power key + volume down key + Camera Key for about 15 seconds until the phone vibrates and restarts.